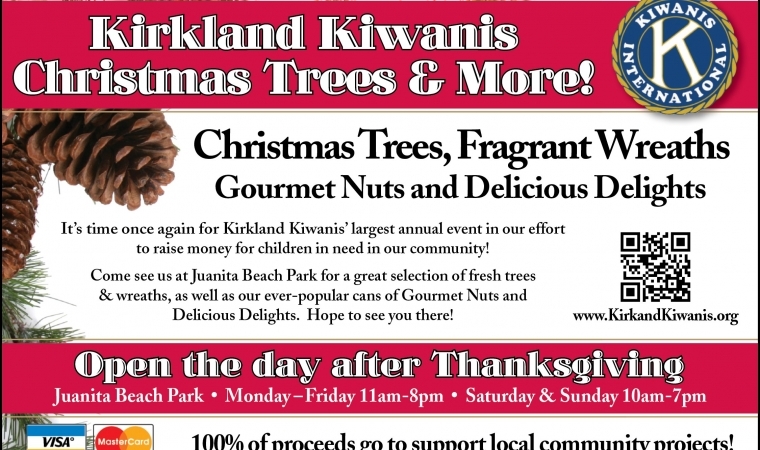 Home > Blog > Kirkland Kiwanis Tree Lot – Opens 11/23! 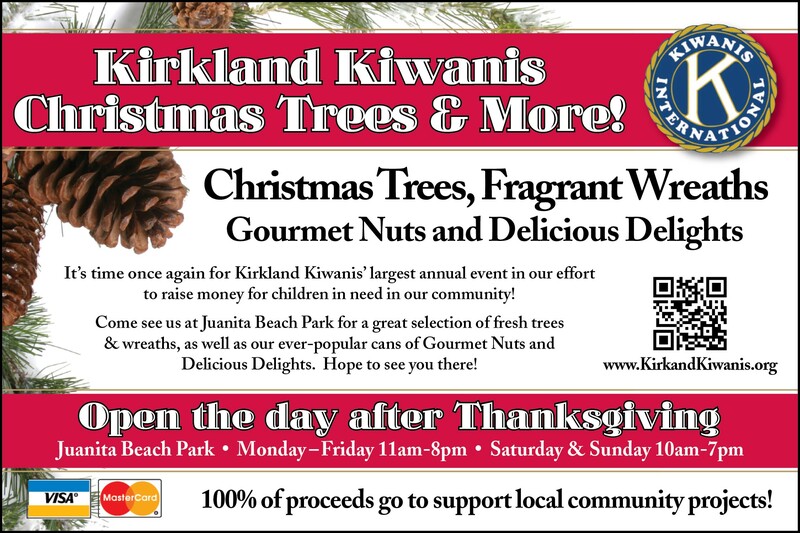 Kirkland Kiwanis Tree Lot – Opens 11/23! The Kirkland Kiwanis largest fundraiser of the year is now open at the Juanita Beach Park. It supports children in our community as the funds are donated to various local organizations. Get your wreath, gourmet nuts, and Christmas tree, all while helping others. The lot opens on Friday, November 23rd and will remain open until all items are sold. Hours are 11 am – 8 pm Monday through Friday and 10 am – 7 pm on Saturday and Sunday. More information can be found by contacting the Kirkland Kiwanis Foundation.